I am just back from Savannah, Georgia and from a powerful and very moving two days of sadness and renewal at the Troy Davis funeral. 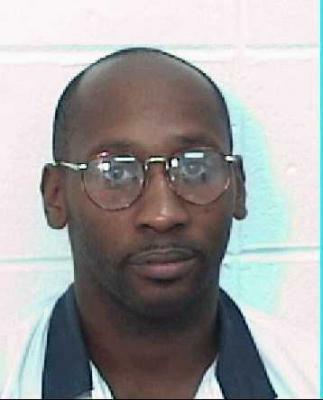 Spurred by Troy Davis’s absolute innocence of the 1989 murder of the off-duty police officer and his September 21st murder at the hands of the State of Georgia, to a new commitment to work toward an end to the death penalty. As I saw Troy Anthony Davis’s mighty and courageous face on my computer screen here in Washington, DC on September 28, I prepared to fly to Savannah, Georgia to honor this man’s memory and to stand in solidarity with his sister Martina Correia (who herself is facing breast cancer but nonetheless has for years been a pillar of strength in advocating his innocence) and the rest of Troy’s family. I participated in two public gatherings in Troy’s honor over the two days, a Memorial Service and a Celebration of Life Service and Funeral. Between the two, there were a total of some 3,000 persons in attendance – both local and national. As many of you know, it also happens that for quite a few years I have personally known and been in close contact with another innocent person on Death Row, having been in phone and mail correspondence and also having visited him with our daughter Emma three years ago and again this summer together with my housemate Jeff Long. His name is James P. Anderson and he has been a resident since 1979 (32 years) on Death Row at San Quentin Prison in California. And also, write to James at: C-11400; 5EY39, San Quentin State Prison, San Quentin, CA 94974. Thanks to having followed the Davis case over the last few years and from knowing James for years as well, my commitment is to fight with every breath in my lungs and every drop of blood in my body to end the death penalty in this self-described ‘land of the free and home of the brave’ which in reality perfects and practices each and every day the self-righteous and destructive doctrine of exceptionalism that is rampant in our body politic and political fabric. The death penalty is but one example of this. Georgia’s Death Row is located at the “Georgia Diagnostic and Classification Prison” in Jackson, about 47 miles southeast of Atlanta, and houses 106 men. Troy had already faced there prior death sentences before the five-person Board of Pardons and Paroles rejected the clemency option on September 20th. At 3:00 in the afternoon of September 21st, after his family members and attorneys were removed, he was given a physical examination to make sure that he was healthy enough to be executed. He then refused a last meal. Let us never forget the extraordinary courage of Troy as he lay on the gurney for those torturous hours while the White House and the Justice Department kept a stony silence and then at 7:04 p.m. when Supreme Court Justice Clarence Thomas began a faked 3 1/2 hour ‘review’ (not a reprieve) apparently without any consultation with his fellow eight Justices only to then deny Troy a reprieve, signaling a green light to his executioners to go forward with his state-sponsored murder. Those hours that Troy lay spread-eagled on that gurney before they murdered him should be seen as what it was – an outright form of ‘dry waterboarding’ by the Georgia prison system. Then, starting at 10:43 p.m., the executioners began their work; it took Troy 25 minutes to die from the lethal chemicals pumped into his veins. Two doctors used stethoscopes to be certain he was dead. The prison then removed his body, drove it to Atlanta for an autopsy, and sent a bill to the family. – Since 1973, at least 140 persons have been exonerated/released from Death Row due to DNA evidence. Unfortunately, it is not known how many persons who have been executed were actually innocent. – There are 34 states with the death penalty, while there are 16 without the death penalty.